"There are two pizzas in the world: pizza, and Pizza Napoletana". 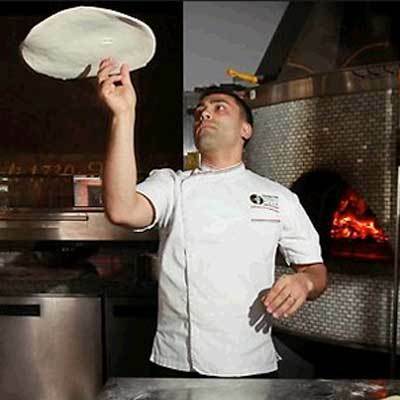 Johnny Di Francesco, owner of 400 Gradi, pizzaiolo extraordinaire, and winner of the Campionato Mondiale Della Pizza in Italy, has landed in Melbourne. And we're the beneficiaries. Johnny's 400 Gradi exemplifies tradition. Cooking process, rigorous. Pizza, authentic. Ethos? passion - also the cornerstone of their product. Each pizza a product of meticulous preparation, and done with a methodical approach. For instance, take their dough, it comprises a carefully selected fusion of ingredients, and respects the natural maturation process. This care, devotion and concentration is the underlying secret to 400 Gradi's superior product - a mouth-watering pizza, which truly puts others' out there to shame. But it's not just taste we're talking, it is also digestion. By carefully and thoroughly preparing their dough, 400 Gradi's exquisite pizza doesn't cause that ghastly bloated feeling. By allowing the dough to mature, whilst minimising its yeast content, results in a soft base rather than being crispy as a crumpet. Additionally, by compressing the gas from the yeast into the cornicione (outer edge), their crusts are light and tasty, rather than thick and bland. I daresay that if everyone exercised such patience in their cooking, there might be less food intolerance in the world. So why did I give you an essay on 400 Gradi's food preparation? Because such authenticity is the foundation of their cooking master classes for children and adults which permeates how classes are delivered, in every single respect. For example, kids learn that all things great require persistence, patience, attention. This valuable kinesthetic learning experience espouses steadiness; steadfastness. Each 'checkpoint' in the cooking process, demanding full attention. It begins with mixing the dough; measuring out strict ratios of salt, flour, water. 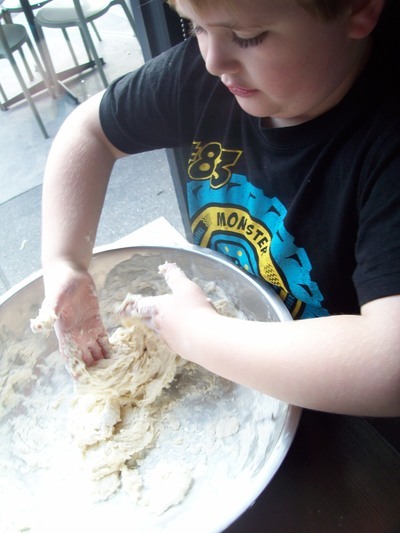 Then thoroughly kneading the dough into a smooth white ball (which kids get to take home to cook more pizza!) 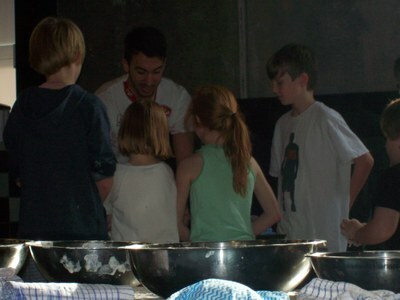 That done, it is into the kitchen we go where the kids devise a topping from a range of appetising ingredients. With toppings in place, into the oven for this freshly-made finger-licking handiwork. 90 seconds, and voila! Delicious and aromatic pizza to gobble down. 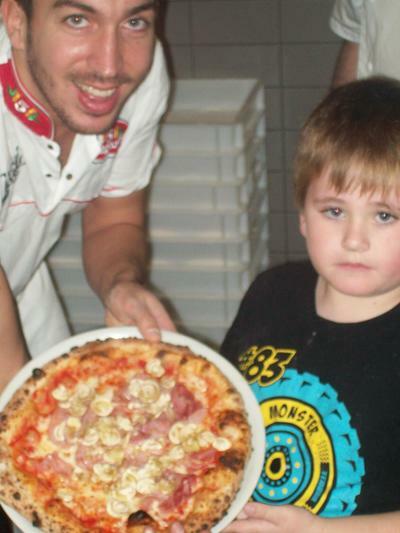 Like their pizza, 400 Gradi's master class was an absolute treat with each child fully engaged and happy to be there. The staff (and there were quite a few hands on deck) were extremely friendly and polite. 400 Gradi's master classes offer a truly unique experience that not only exposes how the experts do it, but also fosters a heartfelt passion. 400 Gradi are located in Lygon St, East Brunswick. If you want to dine there (and there's plenty of reasons to), their menu is brimming with classic Neapolitan dishes, that will leave your taste buds wondering what they've been missing.